While the city, itself, hasn't celebrated a long list of birthdays, the area on which Vancouver was founded possesses a rich, cultural past. The Museum of Anthropology (part of the University of British Columbia) houses one of the world's most impressive collections of art and artifacts from the Northwest Coast First Nations. In the Great Hall alone, you'll come into contact with ornately decorated canoes, ritual masks, totem poles, and other Native American relics. Other areas of the museum display 15th-century European pottery, priceless jewellery and local art. During the summer, you can tag along on a free guided tour (offered twice a day) of the museum's most beloved treasures. Located on the western edge of Point Grey, the Museum of Anthropology is open daily during the summer and every day but Monday during the winter. Admission costs vary, but you can save money with a family rate, or by visiting the museum during its extended summer hours on Tuesdays. 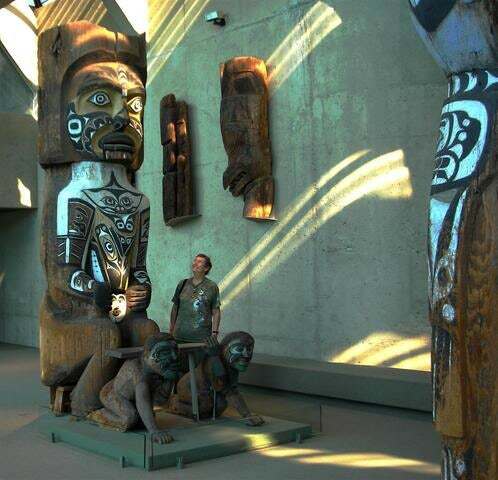 Contact us now and book your tour of the University of British Columbia Museum of Anthropology!